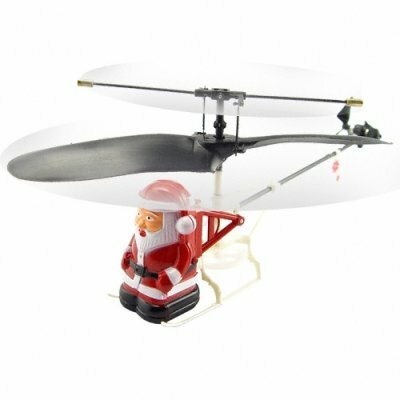 Successfully Added Santa Helicopter - Amazing RC Micro Copter to your Shopping Cart. Radio controlled Flying Santa micro helicopter with a handheld 3-channel remote. This lightweight helicopter has a single fixed rotor and stabilizer bar for fun short range flight. Micro sized radio controlled flying Santa with full flight function remote. No extra parts or accessories needed. Just put your AA batteries and you are ready for flight!